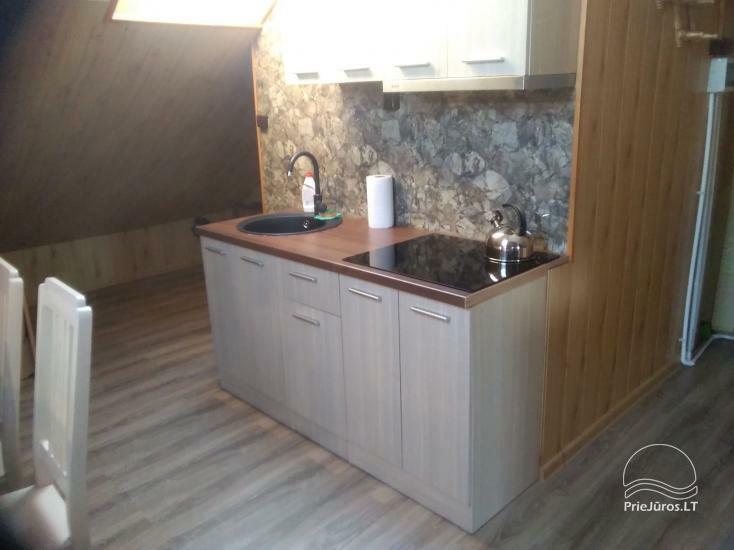 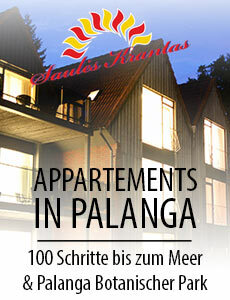 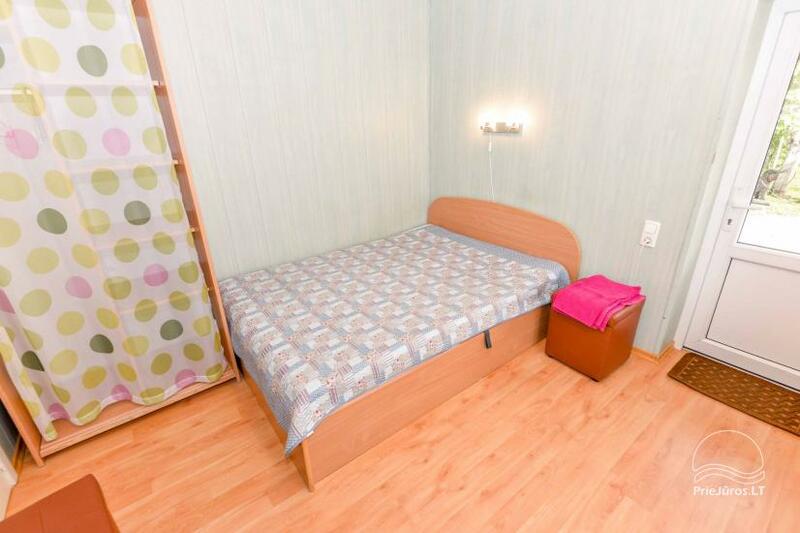 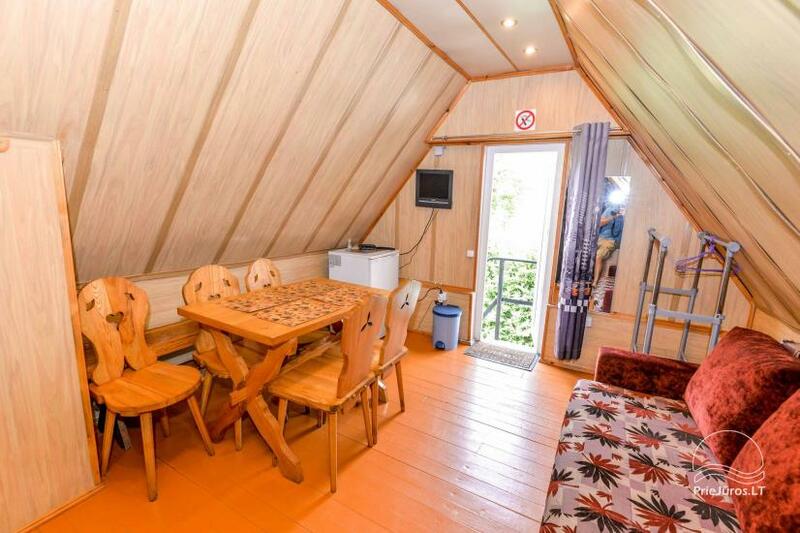 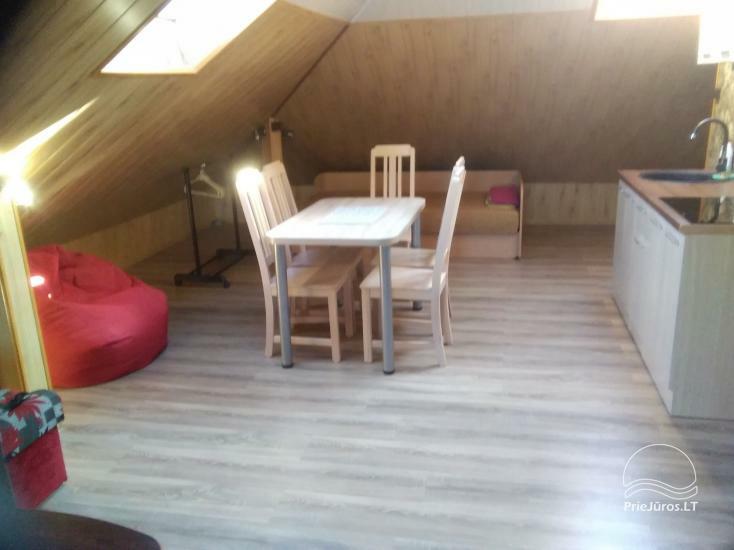 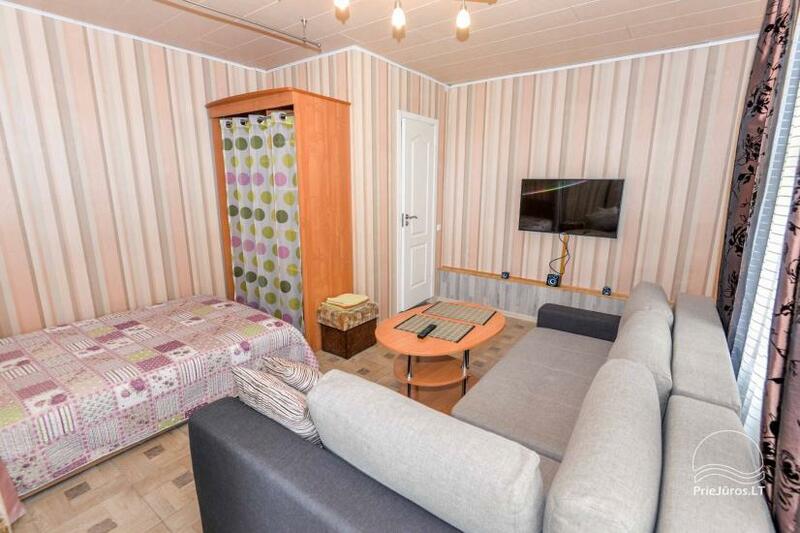 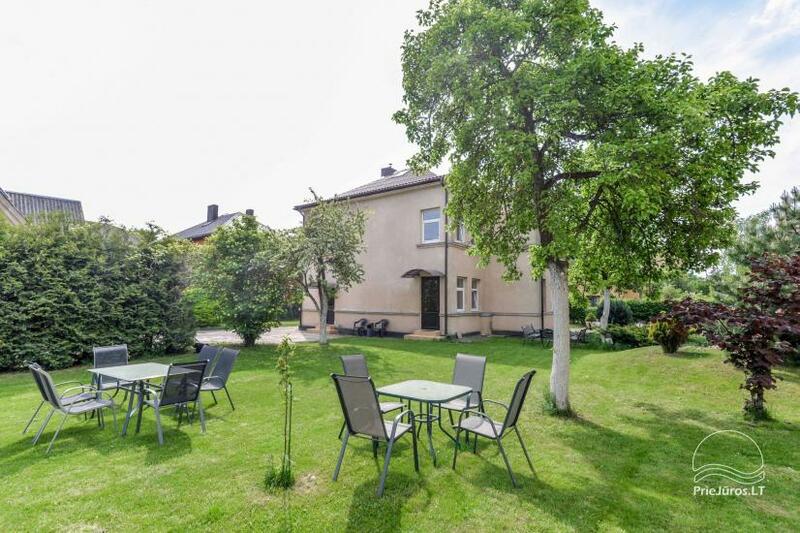 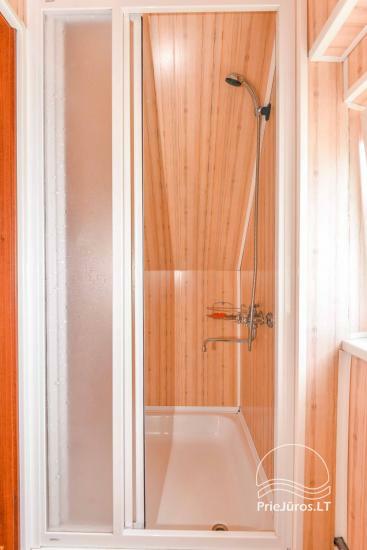 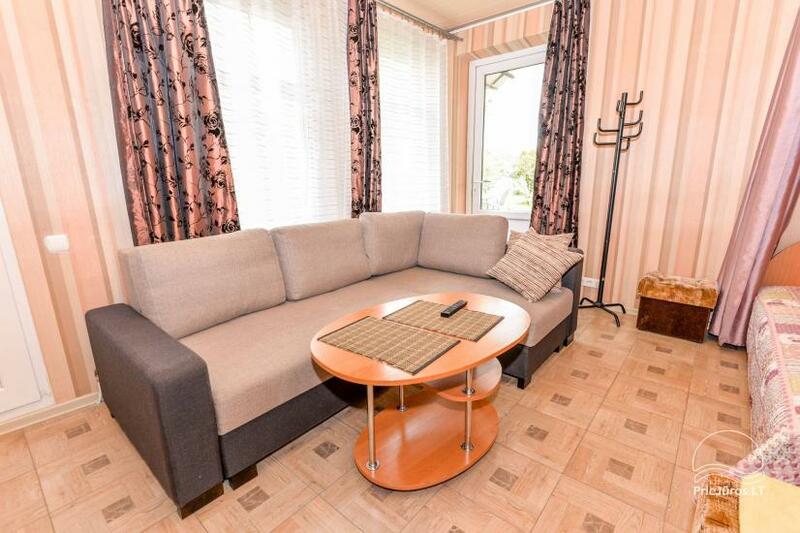 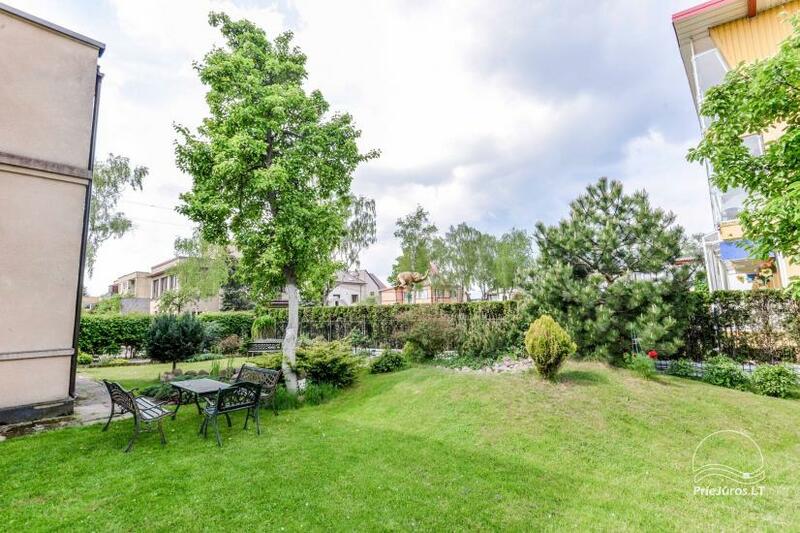 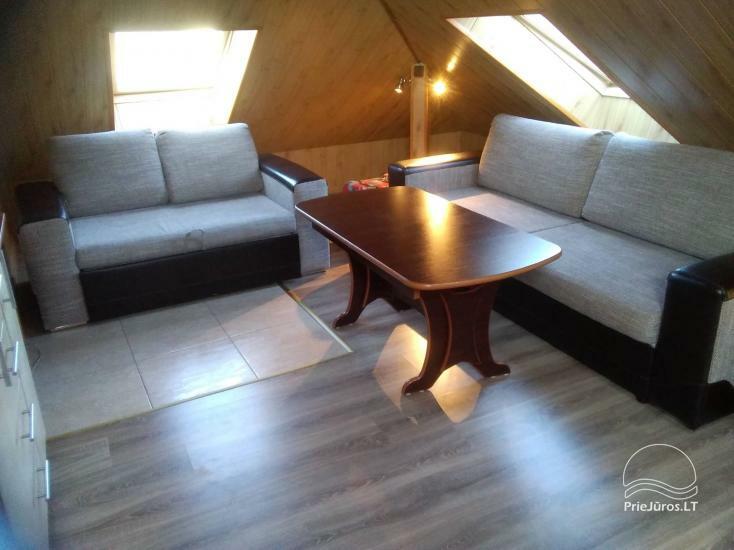 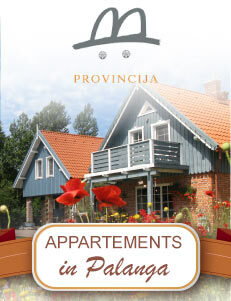 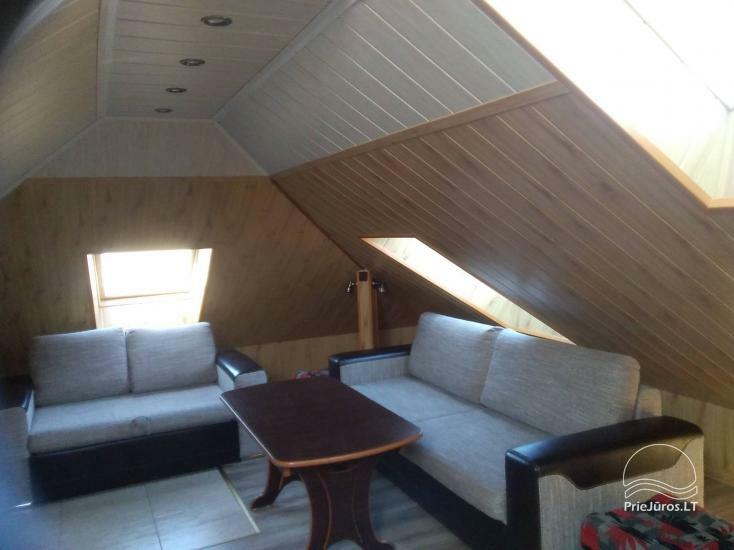 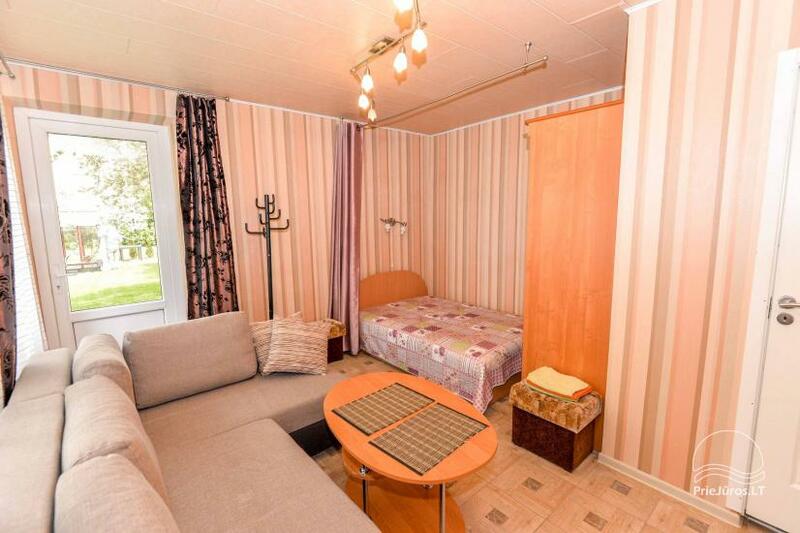 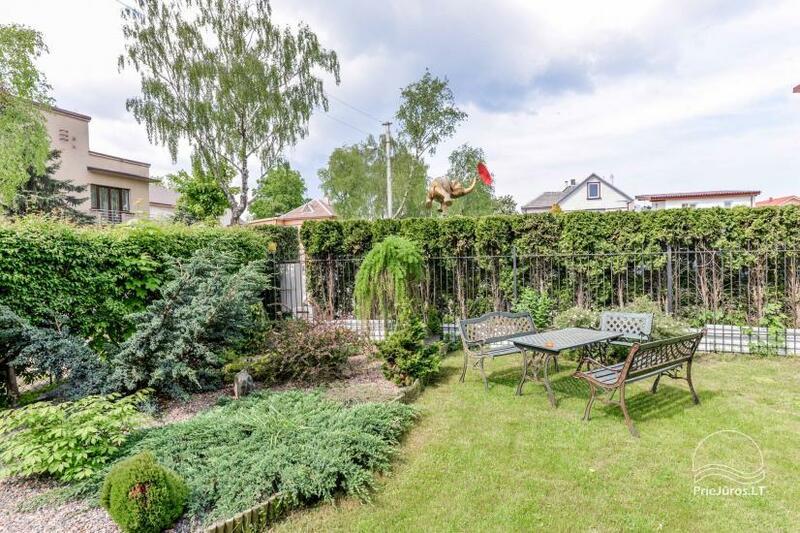 Budget room rental in Palanga, in a private villa, that is situated in a very convenient location of the seaside resort Palanga. 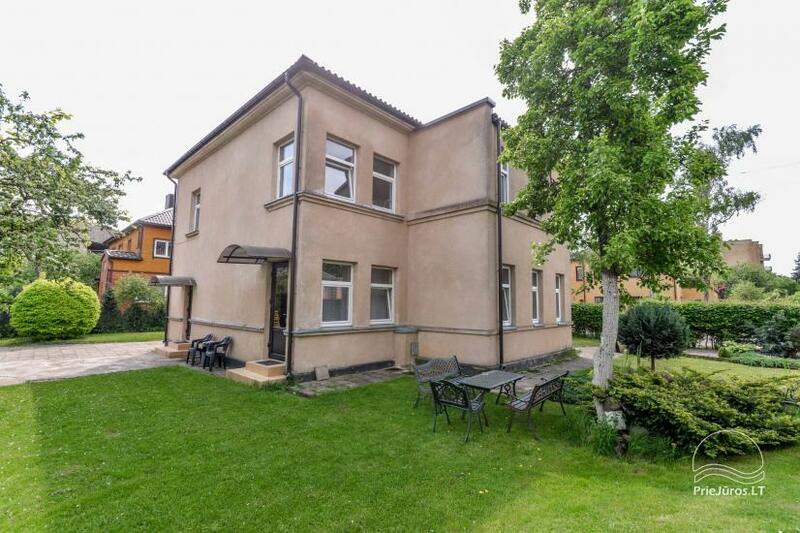 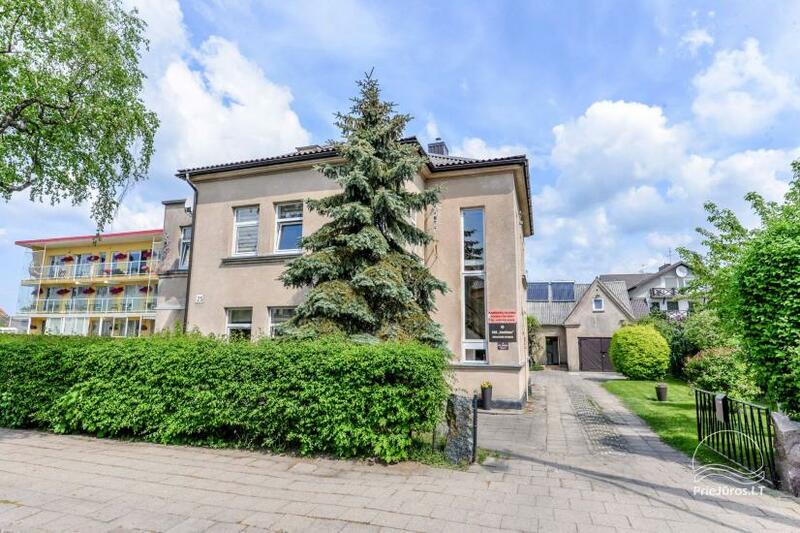 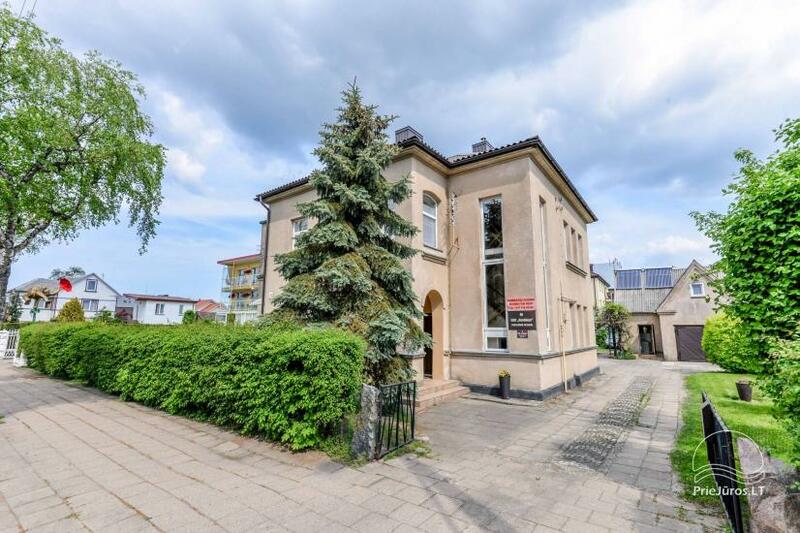 Just about 5 minutes on foot to the sea and 10 minutes on foot to the main street of Palanga with it’s plenty of entertainment possibilities, cafes, restaurants and clubs. 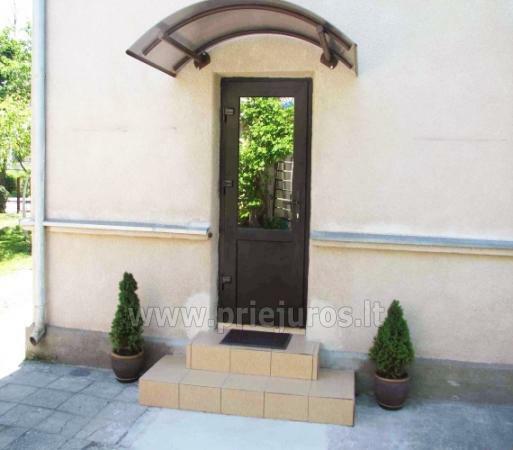 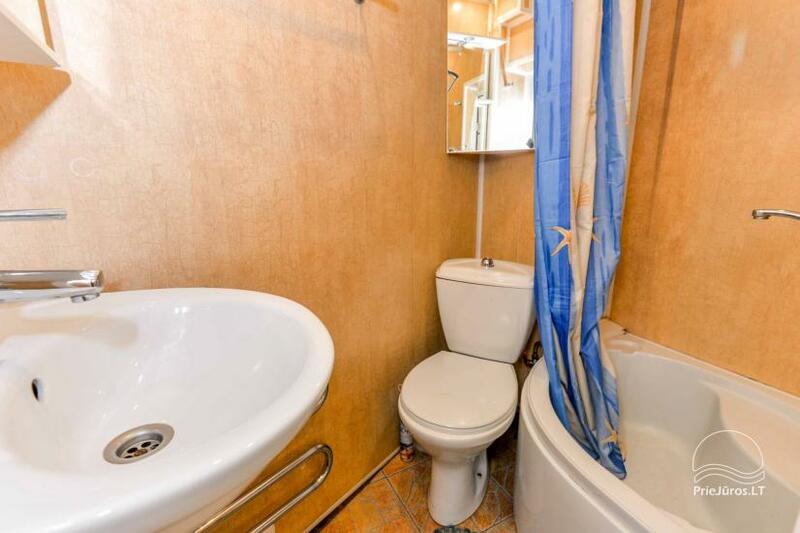 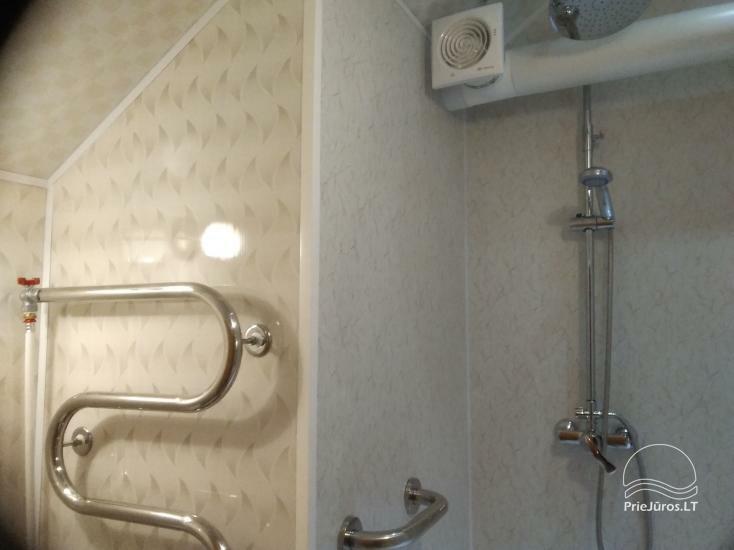 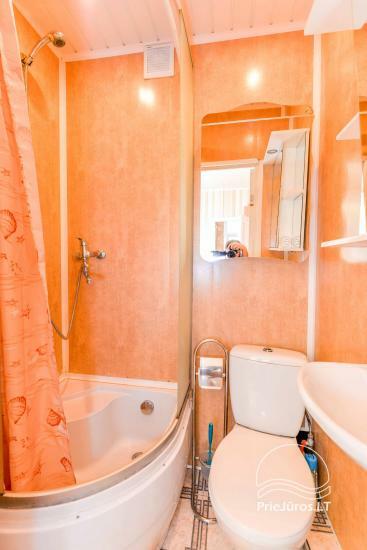 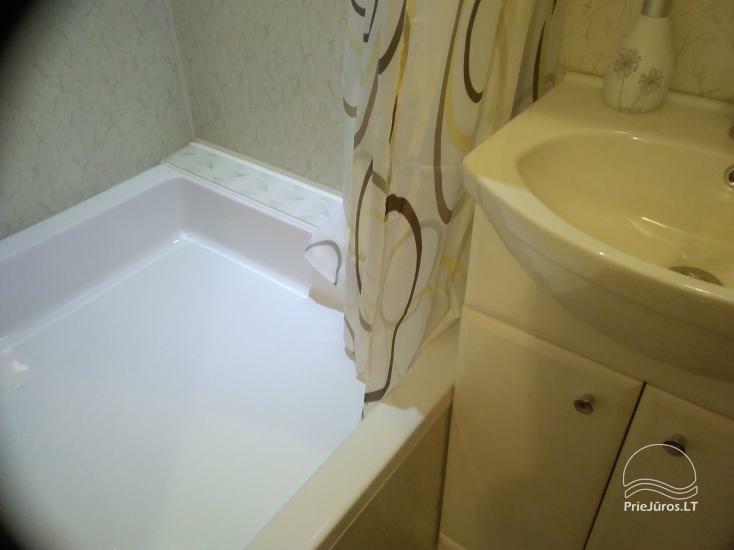 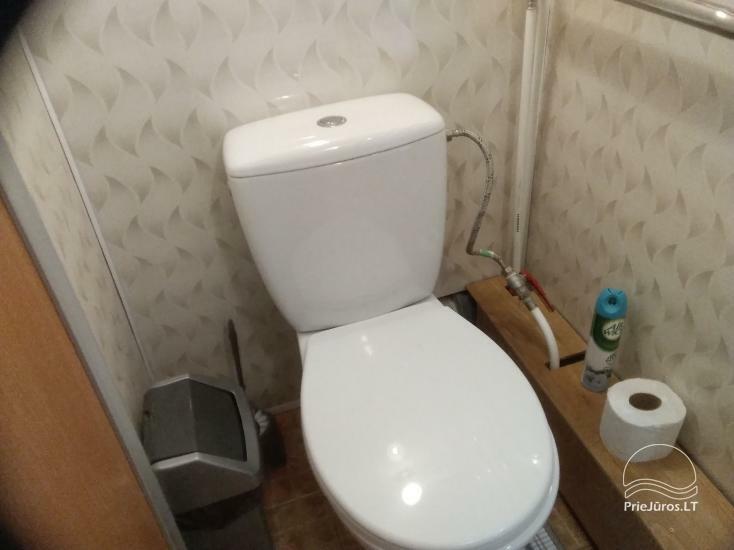 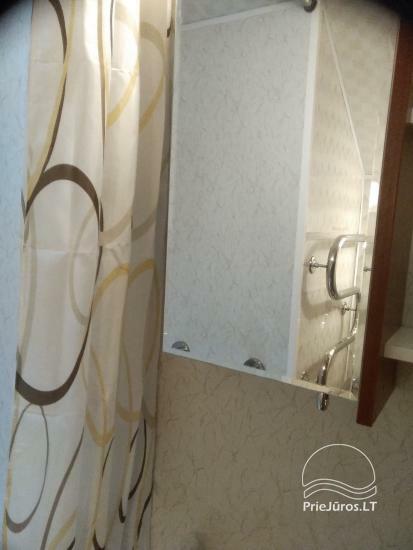 Separate entrance from the outside, private shoer and WC. 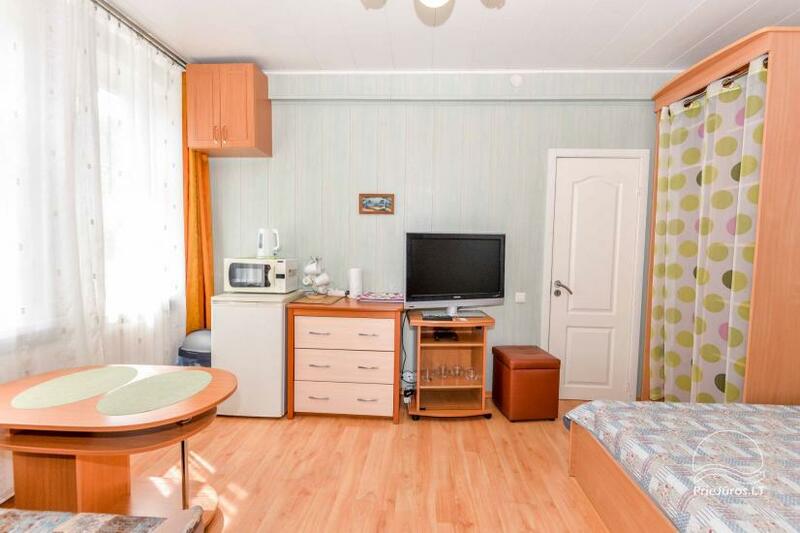 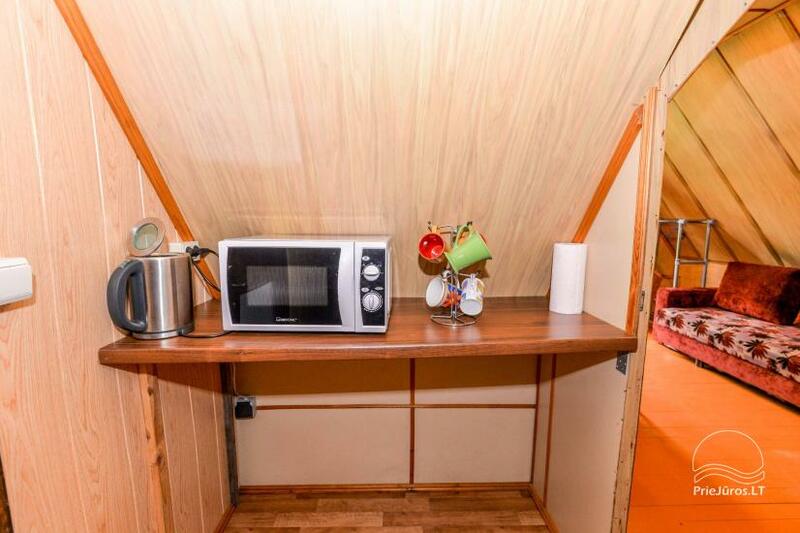 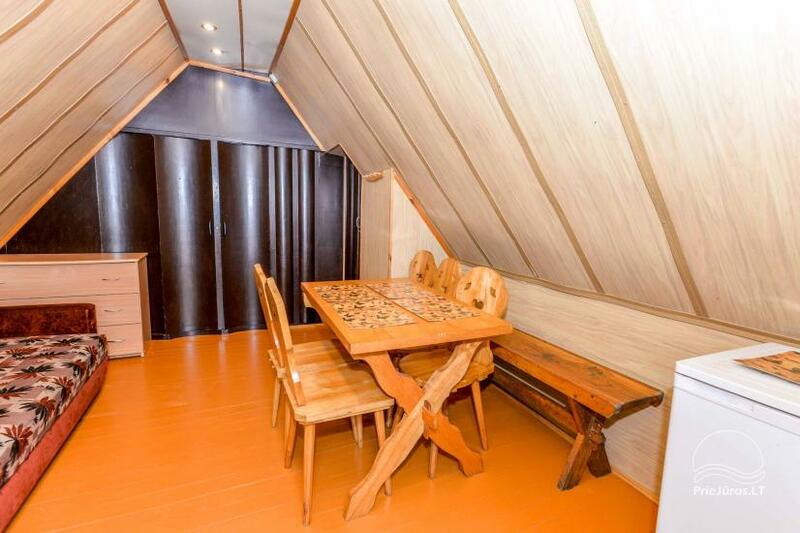 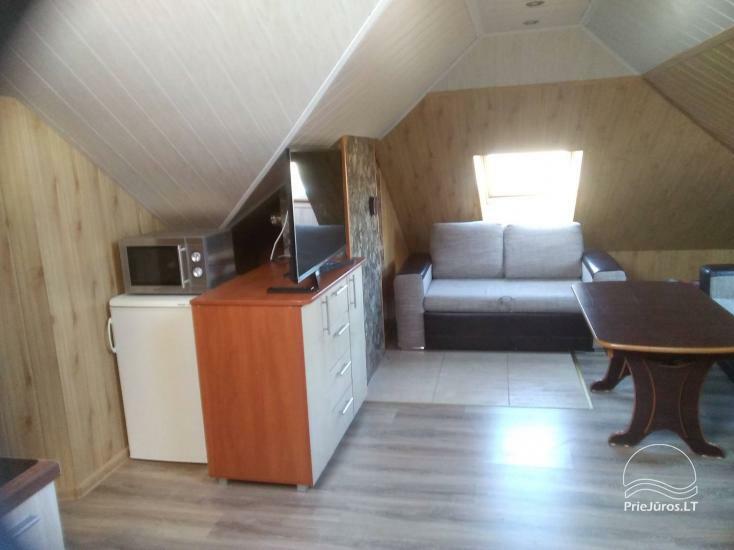 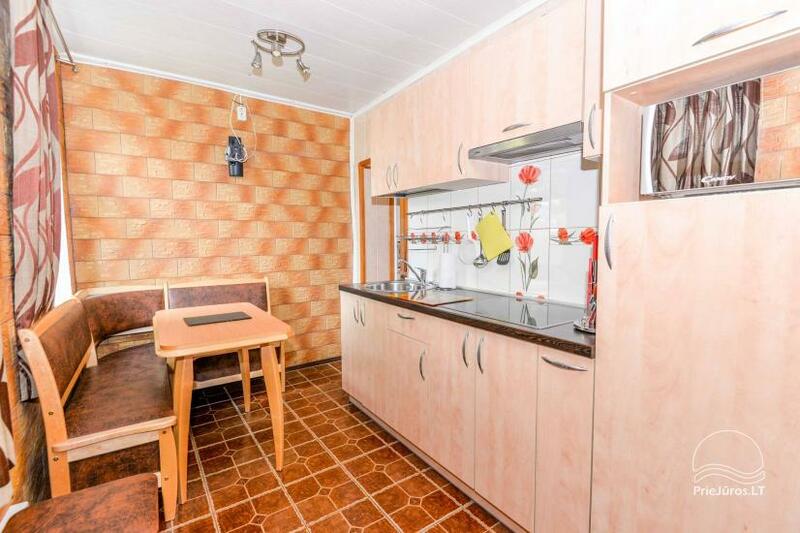 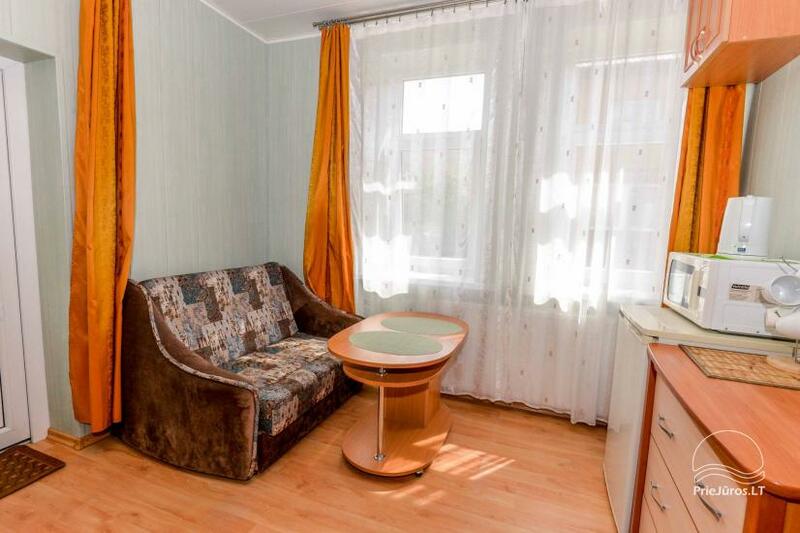 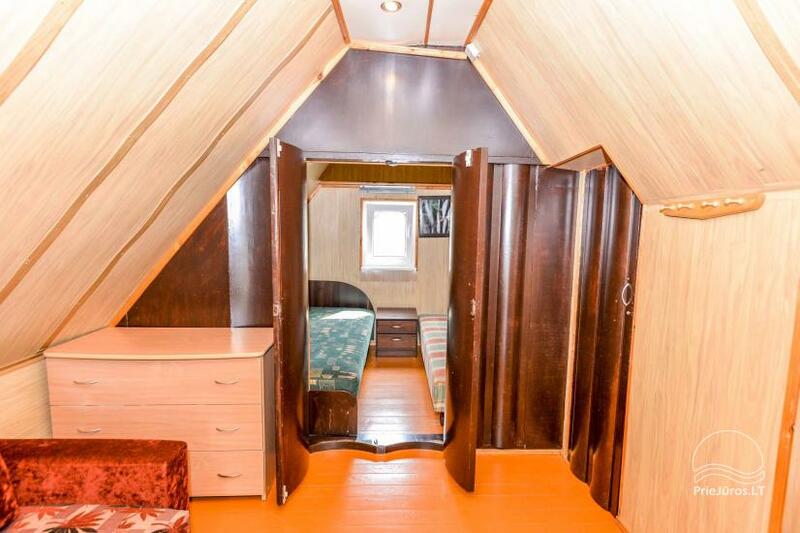 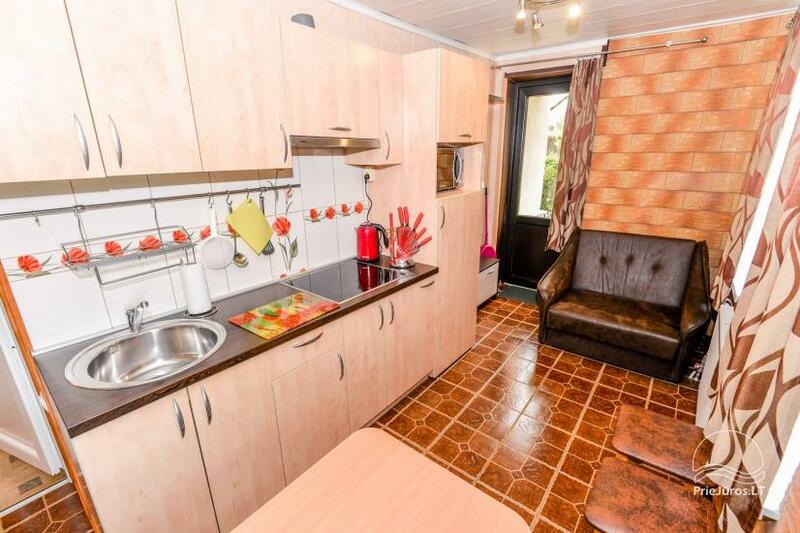 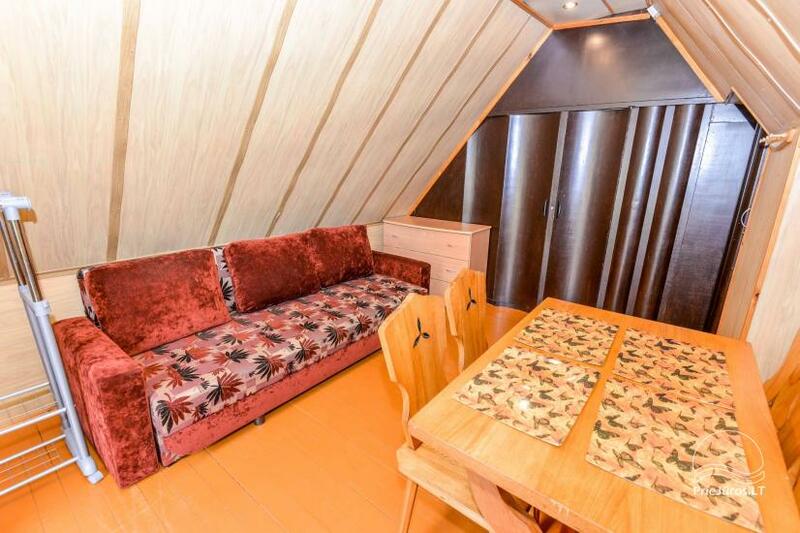 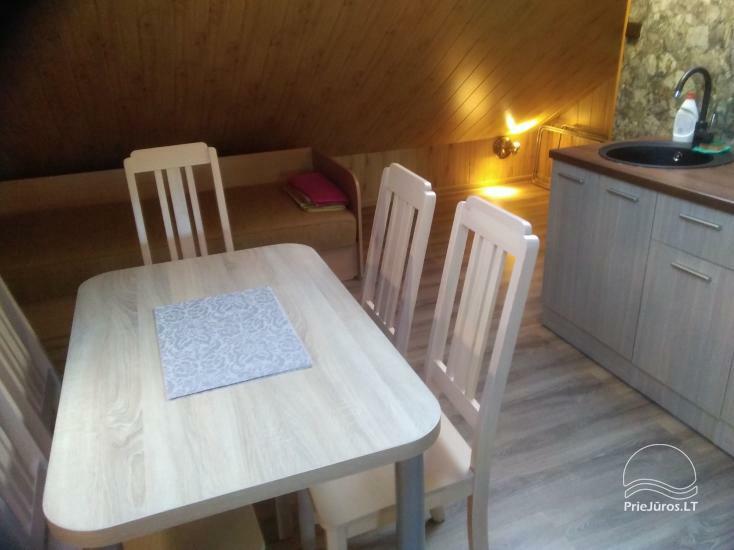 Two double beds, SAT TV, fridge, electric kettle, microwave oven. 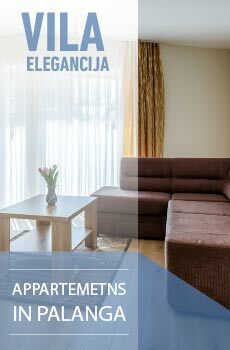 This is our premium offer for holiday makers who are looking to rent an apartment. 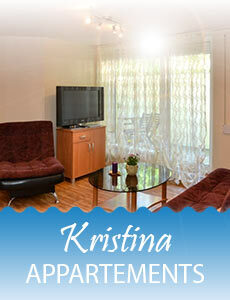 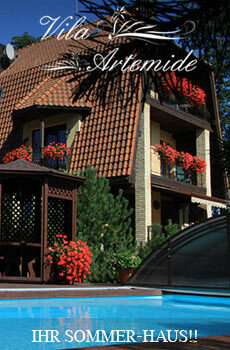 The apartment offers the accommodation with the kitchen for up to 5 persons. 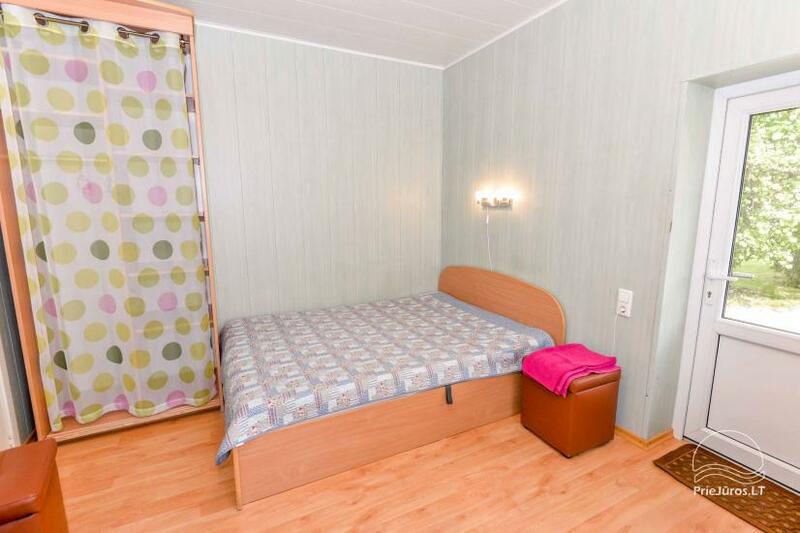 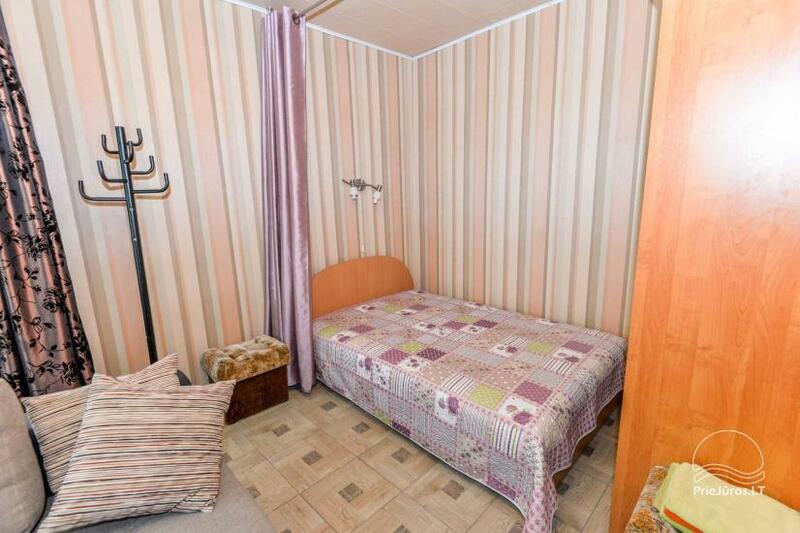 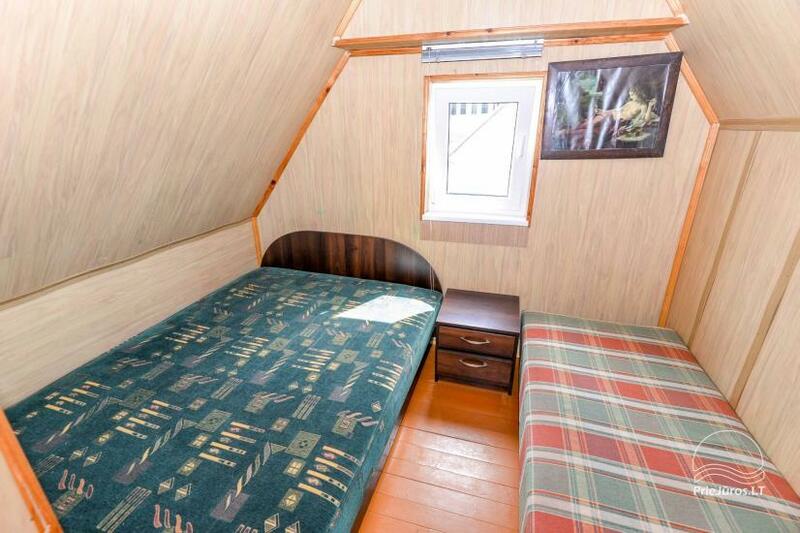 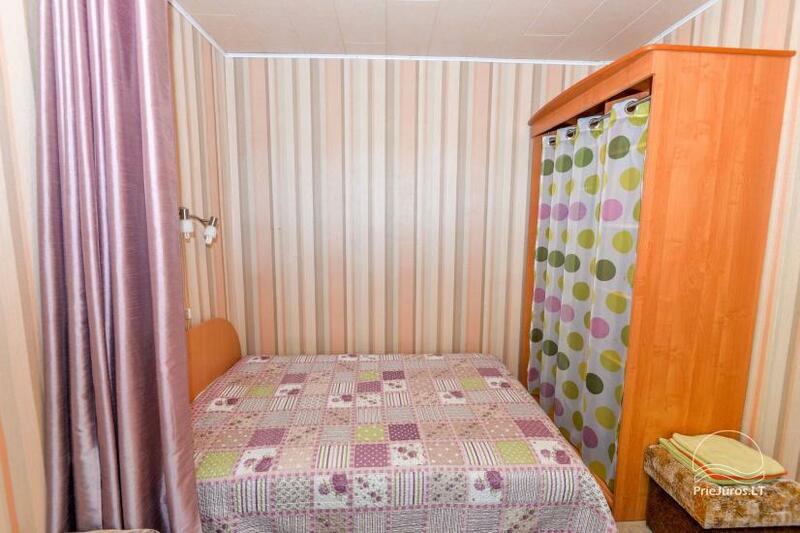 It’s a great choice for a family with kids, or two young couples since there are two double beds. 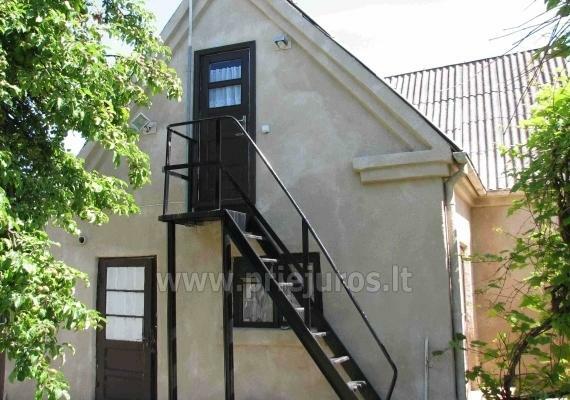 The rental premises are situated above the garage. 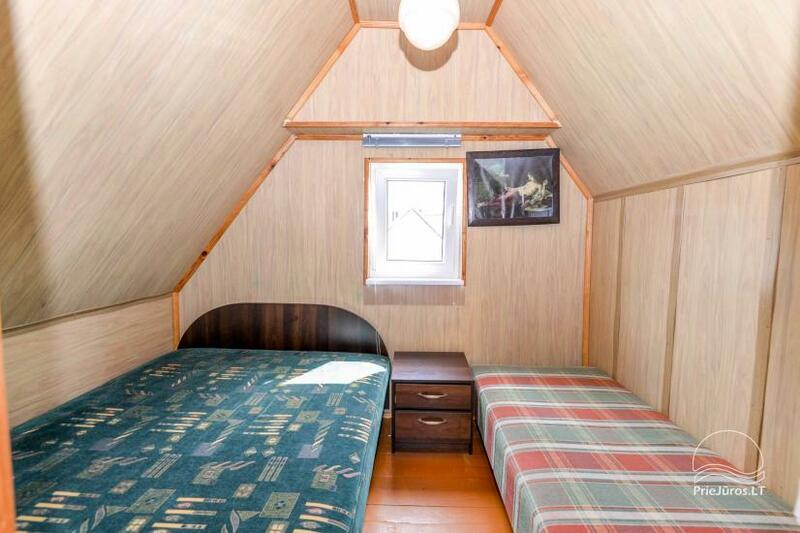 In this custom designed mansard you’ll have one sleeping room with one single and one double beds. 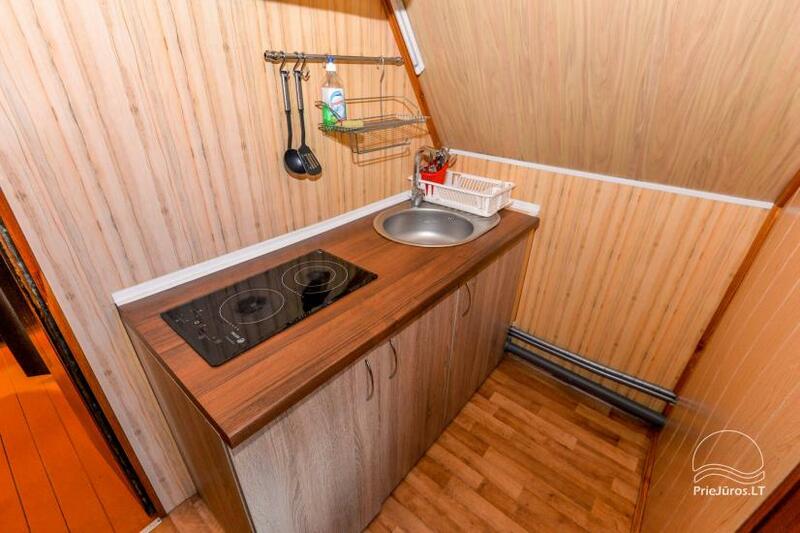 Next to it there is a living room and the kitchen, private WC. 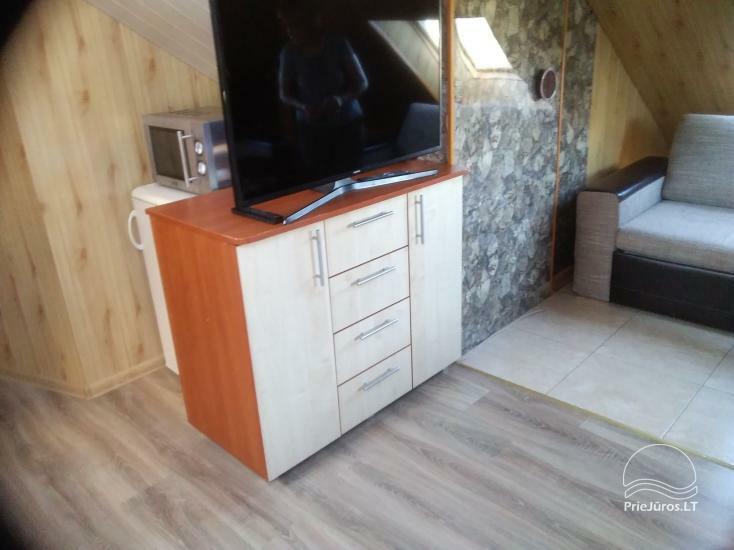 Price in summer from 50 €.